Remember on hot summer days, when people used to ask for a wine spritzer at the poolside bar? They would usually receive a glass of cheap white wine with some soda water, a swizzle stick and a slice of lime thrown in. Well, forget that blast from the past. Here are two tasty summer wines you can enjoy at home, poolside, or at the beach. Standard 750ml wine bottles or individual 250ml servings in shatterproof aluminum bottles with a screw-top enclosure, and the price is right. What more do you want for summer fun? Stella Rosa Platinum, 5%ABV. Street Price: $4/250ml, or $12/750ml bottle. Color is pale straw with gentle effervescence. The nose offers candied apple and sweet apricot. In the mouth, sweet apple, kiwi, and honeysuckle provide the initial rush. The acidity follows with hint of tart lime and dried apricot. Secondary notes of marzipan, cashew and almond gently linger. The finish leaves a hint of candied apple/jolly rancher on the top of the palate with a sweet memory on the tongue while the effervescence resolves with your palate prepared for the next sip. Stella Rosa Black, 5%ABV. Street Price: $4/250ml, $12/bottle. Color is medium garnet with subtle effervescence, a few clusters of bubbles in the middle of the glass but heavy around the rim. The nose has sweet red plum, cherry jam, and strawberry compote. On the palate, black cherry soda and mixed berry jam lead the pack, followed by a sweet cherry-laced acidity crossing the top palate and leaving a clean finish on the back palate. On the neck of the bottle just below the cap there is a red band with the following label: “Semi-Sweet, Refreshing and Delicious. Product of Italy” I will agree wholeheartedly. In summer’s heat, sometimes you need or want something other than your usual quaff, and this may be just the thing you are looking for. With far more flavor, character, and sugar than those Bartle and Jaymes Wine Coolers of the 1980s, I expect to see these on golf carts and boats, at the beach, and poolside in years to come as a low alcohol cocktail and mixed drink alternative. Add a piece of fruit if you like- you can serve three of these compared to one glass of of some of the bar’s popular “fruit bomb” red wines with 15% alcohol. What’s not to like? Writers create in a bubble (no, not bubbly. Sorry Jeff!) Sure, those bubbles may differ. Some work in quiet, others with blasting music in their ears, but all require some level of solitude. 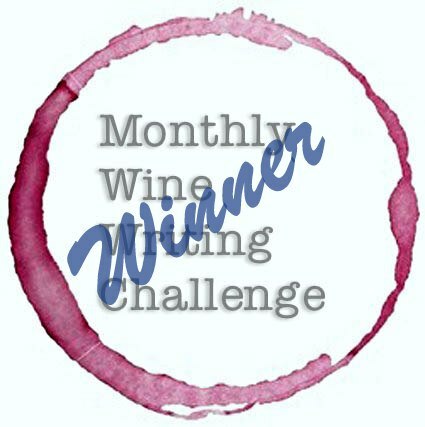 So I found it funny, in a sort of ‘funny wistful’, and not ‘funny ha-ha’ fashion, that this month’s #MWWC26 theme is Solitude, as it shifts from many of the common themes The Monthly Wine Writing Challenge has had to point towards a very real truth. We have a great deal of solitude. We are born alone, we die alone. We may drink together, but we taste only what we taste, and then we can discuss that with others around a table. Or we can type those notes into a tablet, phone, or other I-thingy and share them with a greater audience. I think The Traveling Wine Chick Beth’s subconscious realizes exactly how lonely the road can be on her many myriad travels, hence her choice of themes. As someone who also travels alone regularly for work, I can sympathize. Writers need an audience, even if it is only themselves again at a later date. Let us be practical for a moment, and consider the following: For whom did you really think people who journal are journalling for? Conversely, those of us who write about wine are NOT doing it for ourselves. Some do it for money, some might do it for the occasional free wine. Personally, I do it for the untold teeming masses- sure I have some friends and family who read my blog, but it is largely for the people I don’t know who subscribe to my blog and for the people who stumble upon it by accident. As I have begun to enjoy the benefits of blogging, I attend tastings more often to educate myself on wines rather than to attempt to write reviews- which is a difficult challenge if one tries to review every wine served in a large tasting. Often a tasting leads me to several wines I want to try again, and make it part of my repertoire and knowledge base to share with others. We all spend much of our time in solitude. When alone (In Solitude), we often speak our thoughts aloud. When acted out, these are referred to as monologues or soliloquies. Some of the most famous words we know are soliloquies, monologues from plays like Hamlet, MacBeth, Romeo and Juliet. Or from films like The Godfather, On the Waterfront, Caddyshack and Taxi Driver. And recently, Frank Underwood from House of Cards. When I was young I enjoyed acting. An actor spends a great deal of time learning lines, developing a character, and then joining other actors to create a performance for an audience. As an actor, I learned to take a moment as the stage cleared and to begin a monologue by saying in my mind, only to myself, these words: “Now, I am alone.” At this point, a character can then address themselves, no one, or the entire world. In this way, one actor alone controls the audience, holding them rapt and on edge, or boring them to look away and check their watches or phones. It is much the same with a wine, or a wine review. I bring home a wine, I study it, contemplate it, and then share it with the world… for better, or for worse. It is like performing a monologue. Jacques Puffeney’s Arbois Vin Jaune 2008, Appelation Arbois, Jura, France. 14%ABV, Street price approx $80/bottle. From 100% Savagnin grapes, aged in barrels for 6 years, 3 months before bottling. Color is deep gold, while the nose offers heavily oxidized sherry, almond, and a hint of butterscotch. With a neutral palate, bracing acidity will be the initial flavor profile should you taste this incorrectly. Instead, have a piece of Comté cheese, let it gently coat your mouth, and then have a sip. At this point, the palate registers mature lemon, then a hint of almond paste, followed by a mouth-watering tartness and a savory top palate that wafts a delightful sherry aroma back up through your nasal cavity. The last of the Puffeney Vin Jaune. Sold in a 620 ml Clavelin, the shape of the bottle is only one indication that this is not your father’s French white wine. I have served this wine to friends, asking them to taste it alone to negative, shocked palates, and then again immediately after food. The response is night and day- from an “ugh” to an “Ahhh!” In pairing with food, the power is readily apparent. With the announcement of his retirement and sale of his vineyards in 2015, Puffeney’s legacy has left behind a throng of dedicated fans. For those who manage to find a bottle, the tough choice is to savor it alone, or share it with close friends. I have and will continue to do both with Vin Jaune, as a rare and unusual wine should be shared and appreciated. Solitude with this wine allows us to contemplate the dedication of farming, the mystery and brilliance in the winemaking, and the joy of sharing it with others which allows us to celebrate the same. Even amongst friends, to taste this wine is to know it is the pinnacle of a man’s sole, lifelong goal and crowning achievement; the zenith of his years of solitude as a farmer and winemaker, for the joy of the masses. His soliloquiy, expertly performed, performed for an audience of wine lovers in the gallery. This, my friends, is the essence great wine, and a strong wine community.